Are you tired of your jeans showing more than you intend when you bend over? Are you fed up with constantly pulling your jeans up? Maybe your low-rise jeans give you the dreaded muffin top? Then mid-rise jeans are for you. I've always preferred a mid-rise over a low-rise jeans, for all the reasons above. But, they used to be very hard to find, not so anymore. While it's still easier to find low-rise, and even high-rise jeans, more and more brands are offering mid-rise jeans. 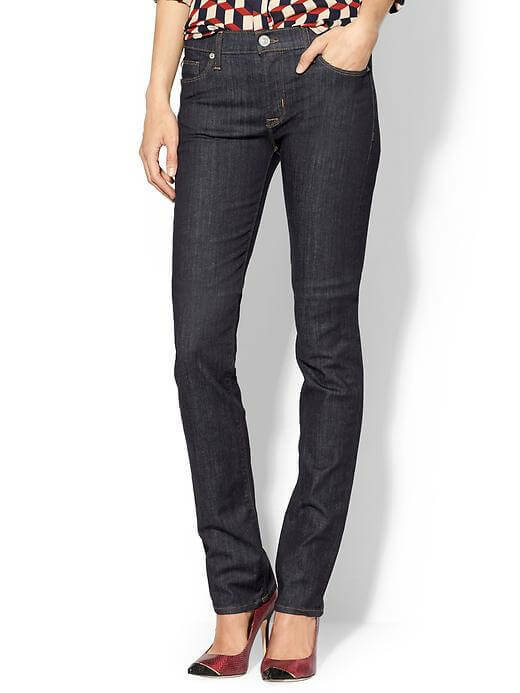 I'll be updating this page as I find more great mid-rise jeans to add.